The sky had the dimmest of predawn glows as the dry ice was packed into the payload container. Inside, sixteen vials filled with brewer’s yeast waited for launch. 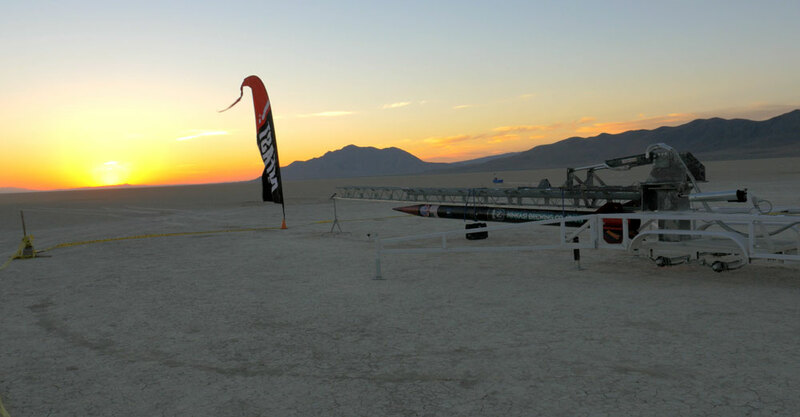 Ninkasi’s resident lab tech, and NSP scientist, Dana Garves crammed the dry ice into the container and, one hour later, the capsule was loaded into the nose cone of the rocket. When she joined the rest of the NSP team just 2,000 feet away, the distance deemed safe by CSXT, she smiled at the round of applause. 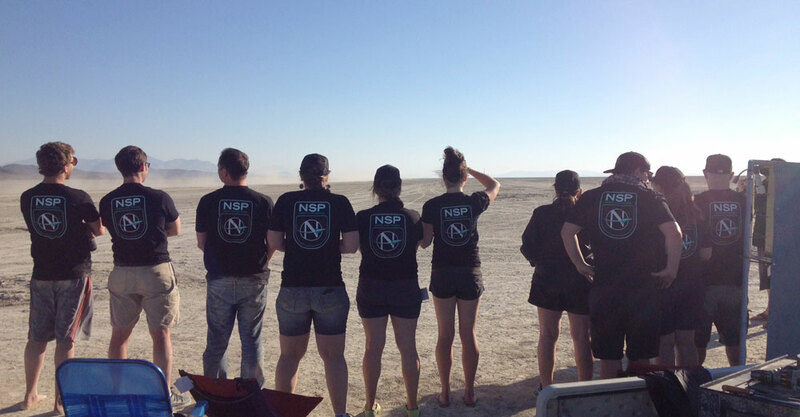 This was the first launch for everyone on the NSP team. In matching hats and t-shirts, the tension was almost too great. Jamie and Nikos led the countdown. Five..Four..Three..Two..One! Everyone has seen footage of rockets blasting into space. Somehow the wonder of that moment does not fully translate. The rocket went from motionless to out of sight in seconds. The motor was so powerful that it seemed as if the rocket was being pulled into the sky, rather than propelled by its own thrust. 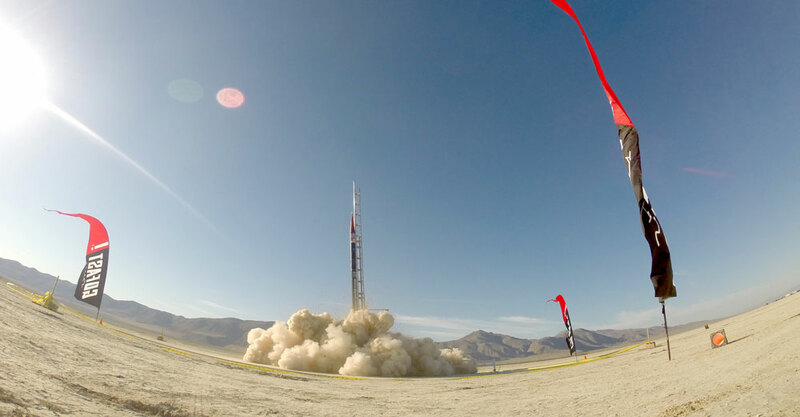 It only took 12 minutes for the two pieces of rocket, which were designed to break apart, to reenter Earth’s atmosphere. According to all projected numbers, the payload portion was expected to land about twenty miles away from the launch site. It was important that Dana retrieve the payload and place it in a cooler right away, in order to begin yeast viability testing. For that reason, Dana and a few CSXT rocketeers were preparing to head in the direction of the container, fit with a radio signal, when the signal was lost. 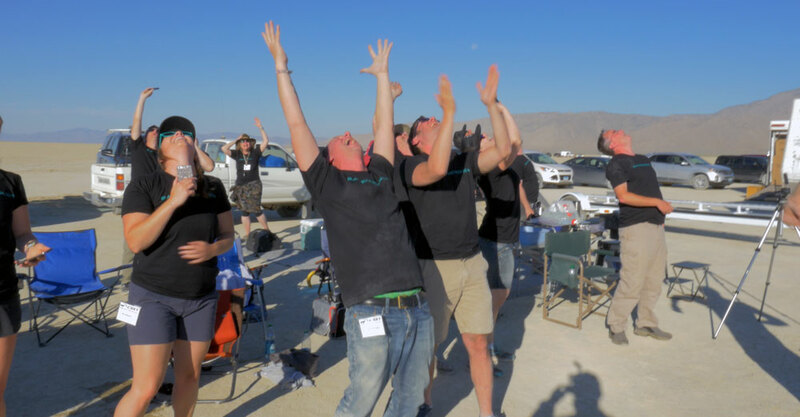 As the NSP team was preparing for a killer celebration, it was soon clear that the experiment was not over. The yeast had to be found. Soon everyone with a vehicle joined the search. 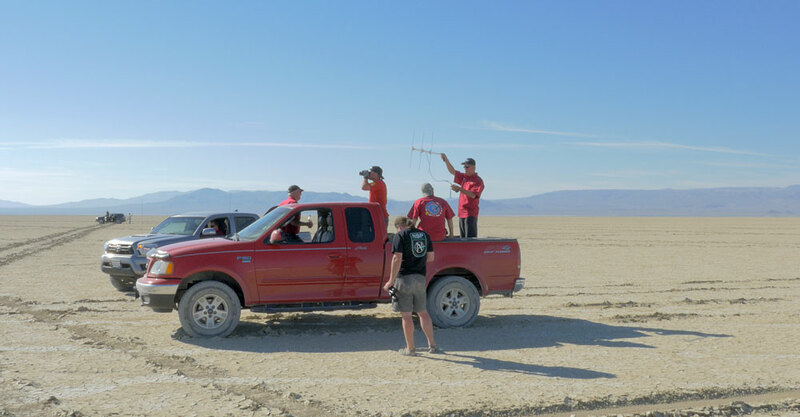 The playa of Black Rock Desert allows free driving, so a long line of vehicles spread over the desert and began to search as the head truck searched for signal “pings” from the payload. 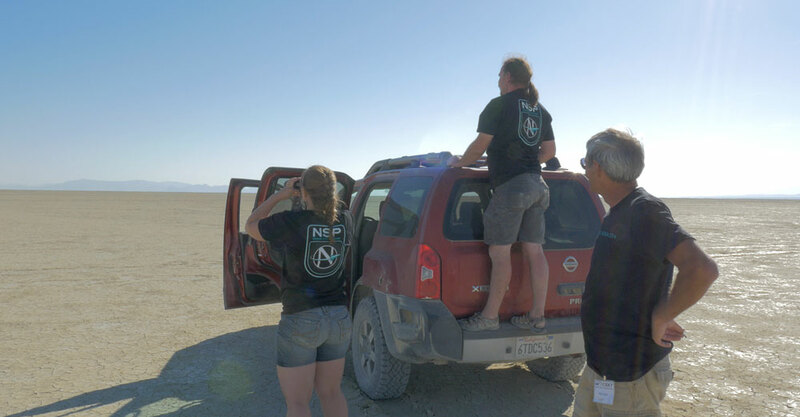 The entire NSP team was part of the action, lifting their binoculars and experiencing the freedom of kicking up dust on a completely open road. The expanse of the desert, 1000 square miles, soon became apparent. The terrain slowly changed from flat earth to rough hills and brush. As midsized sedans struggled with the rugged road everyone finally voiced their fears. What if the payload is never found? What if the yeast cannot survive this vast desert? The CSXT and Hybriddyne teams, more experienced with the search for fallen rockets, decided to call for aerial support from a helicopter. Perhaps a better view would speed up retrieval. The NSP team turned back to camp around 11:00am, well aware that if the payload was not found by 4:00pm then the yeast was likely not viable. As the afternoon deadline passed without ceremony, and the hot desert day descended into dusty twilight, a quick eulogy was said for the fallen yeast. It would take twenty-seven days of aerial searches until the payload was discovered. Nine miles from target, within the crevices of mountains, the yeast had been waiting. The NSP team, however, had recovered from the initial sadness of loss. For what is exploration without the occasional hurdle or misstep? The lessons of Mission One are now clear. The recovered payload provided information about the force of impact and stability within the nosecone. This information will prove infinitely valuable as Ninkasi Space Program engages Mission 2. Why is Ninkasi intent on brewing space beer? Indeed, the recovered footage from the payload container is the greatest answer. After the rocket stabilizes, the vessel slowly turns until the line between earth’s atmosphere and space can be seen. The unfiltered glare of the sun blinds for a moment, then the depth of space is again visible. That’s our brewer’s yeast up there, experiencing what only a handful of humans have or perhaps ever will. That is everyone’s dream. And if NSP can make it so everyone has the opportunity to drink space beer, and taste a bit of what has journeyed so very far, then yeah, Mission Two is going to make it happen.